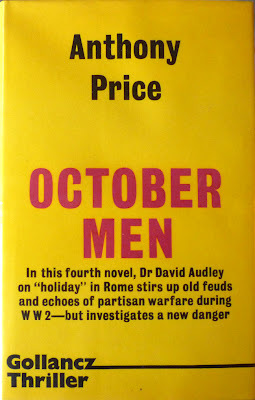 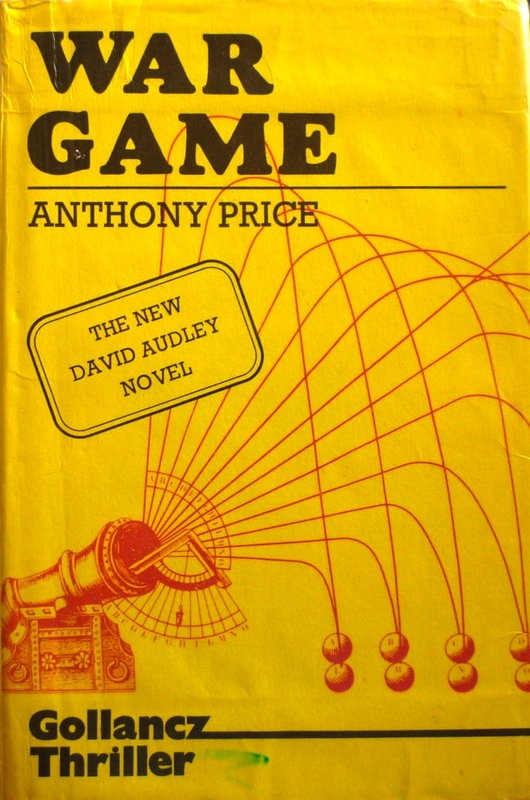 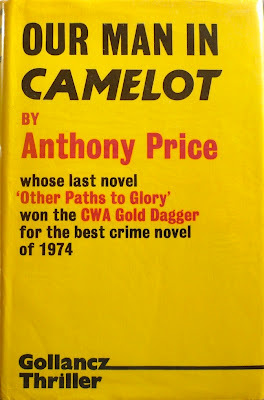 I promised in Tuesday's post on the first edition of October Men – spy novelist Anthony Price's 1973 fourth entry in his David Audley / Ministry of Defence Research and Development Section series of espionage works – that I'd be following up with a gallery of the initial seven of Price's Audley novels, as (a) with my recent acquisition of October Men, I now have all of them in first edition, and (b) they all boast those iconic yellow dustjackets British publisher Victor Gollancz were famous for. 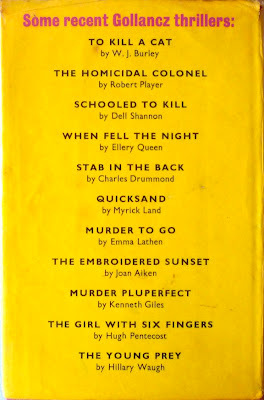 Here then, dear reader, is that gallery. 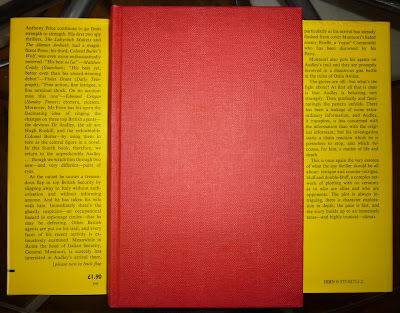 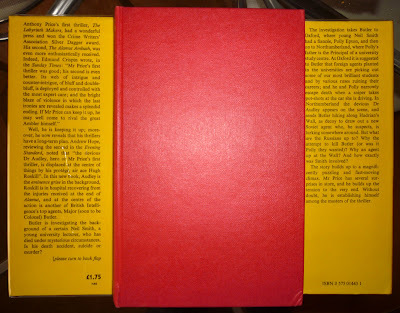 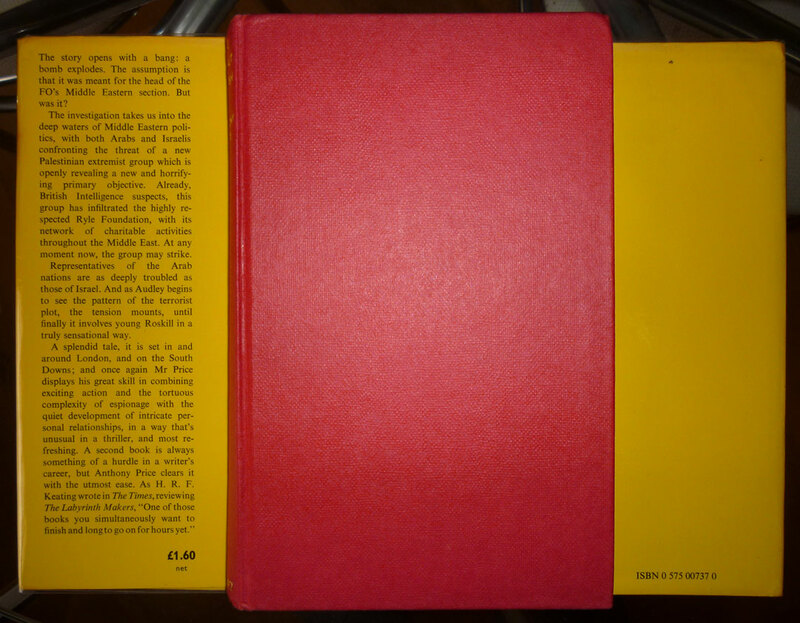 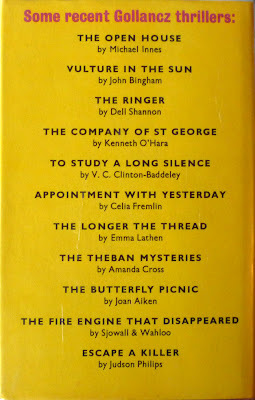 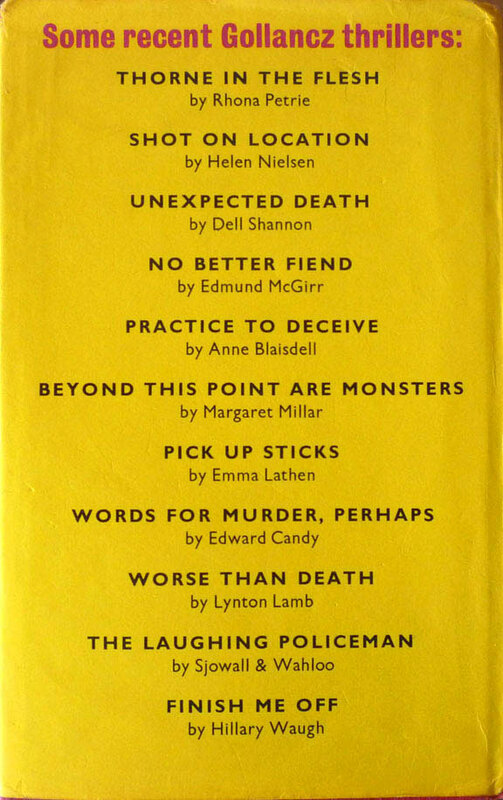 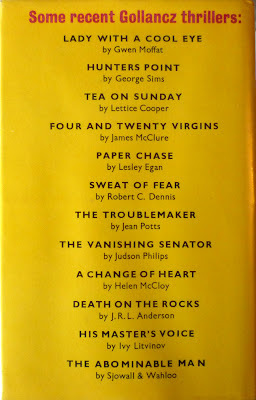 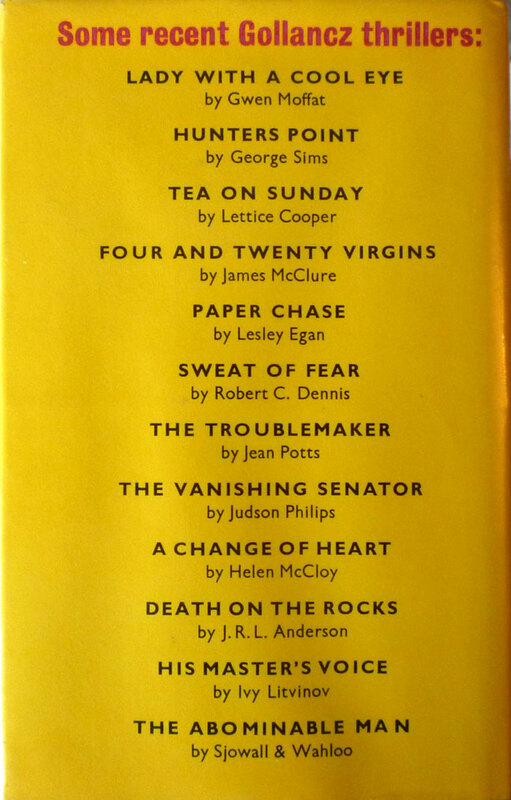 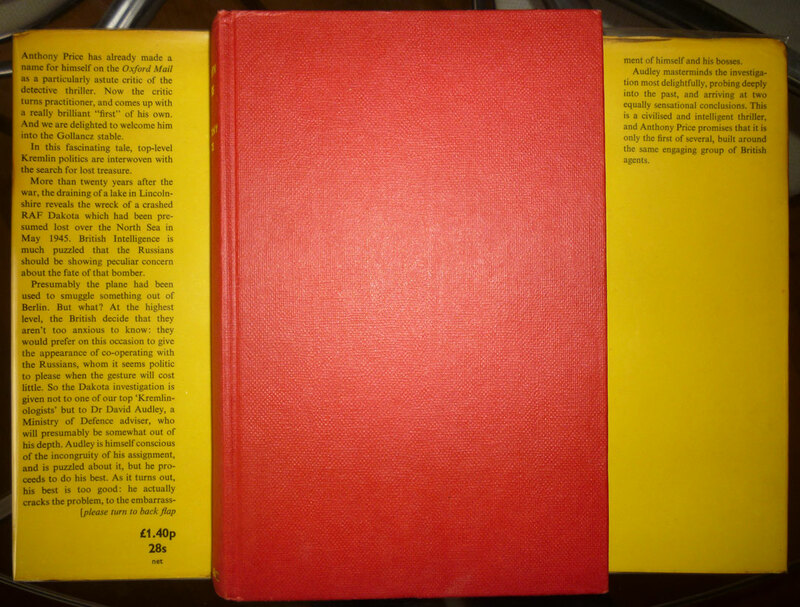 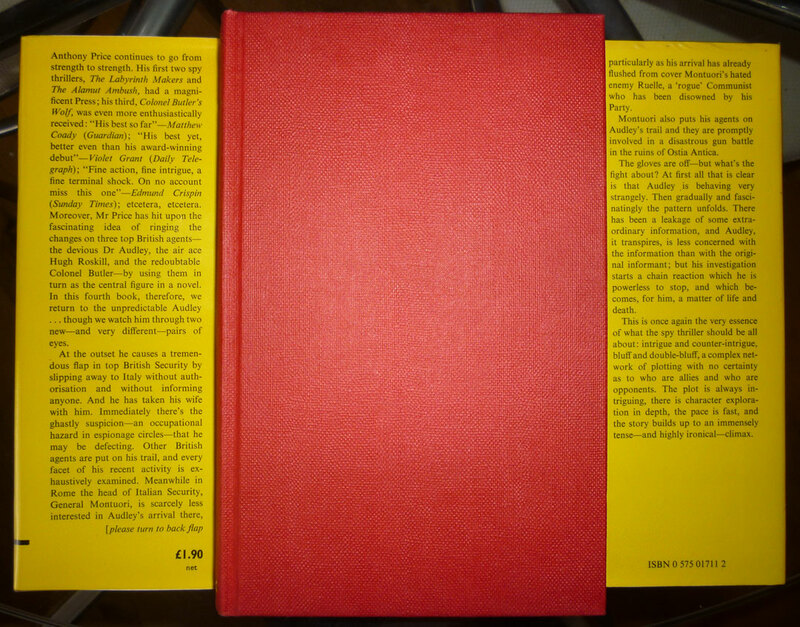 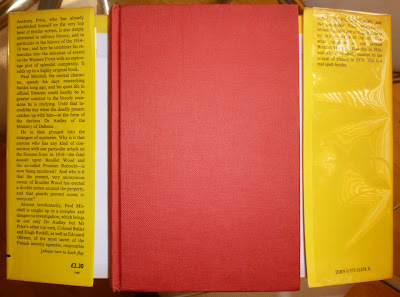 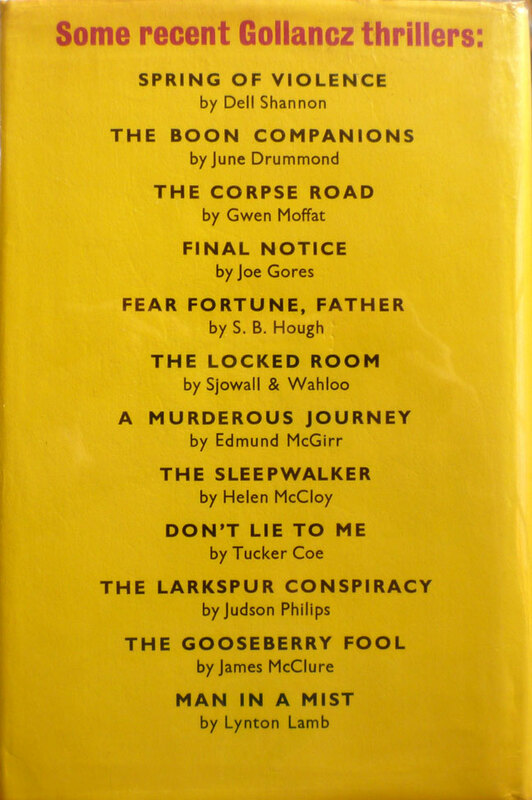 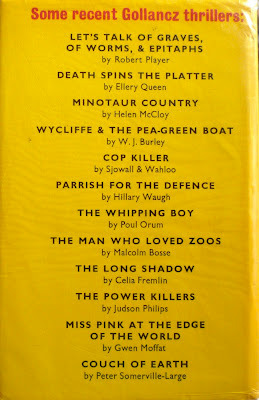 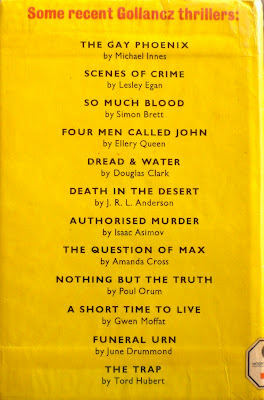 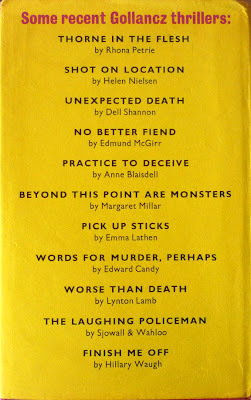 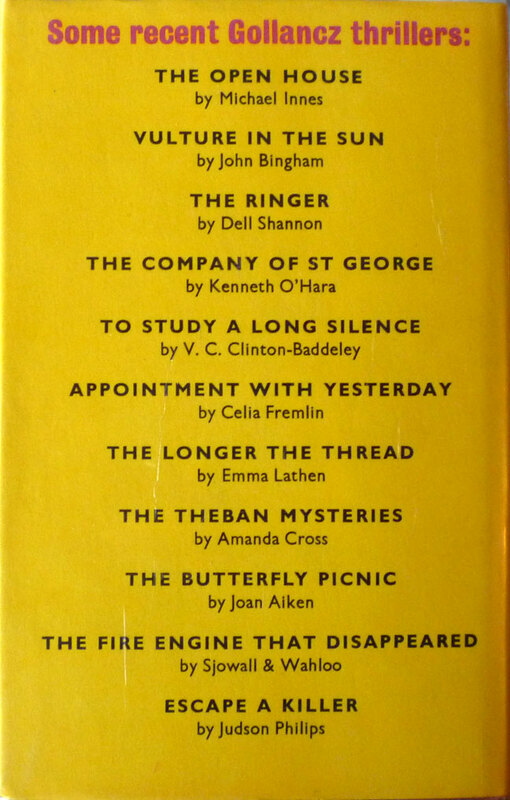 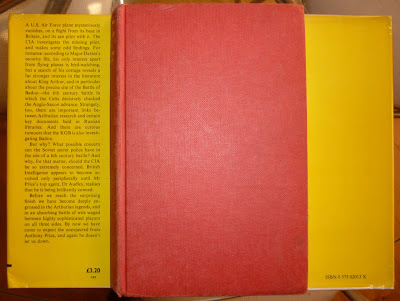 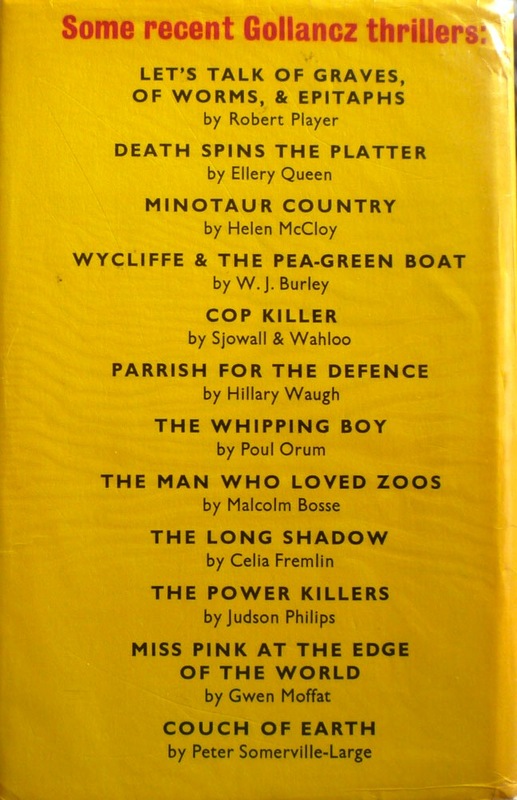 The yellow-jacket Gollanczes didn't carry cover design credits, but the house style was established by Stanley Morison, a noted typographer and director at Gollancz. 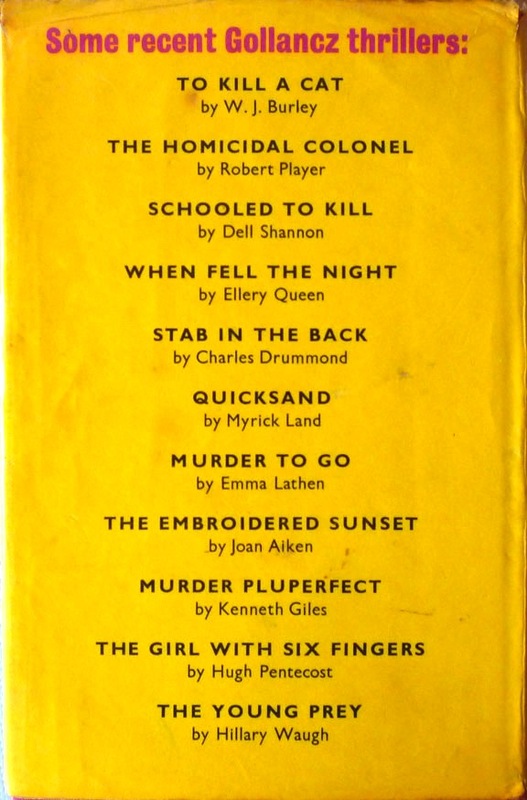 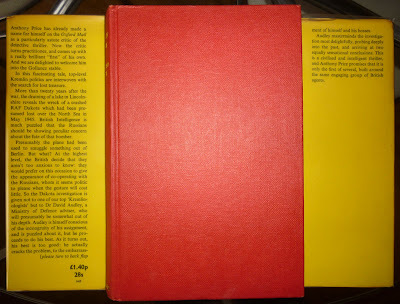 As of the eighth novel in Price's series, 1978's The '44 Vintage, the jackets on his books became photographic in nature; I'll be showcasing some of those down the line sometime, although whether that will be as part of this just-begun series of posts on various spy fiction series remains to be seen. But I can tell you that the next couple of spy series I'll be looking at will both be American rather than British. 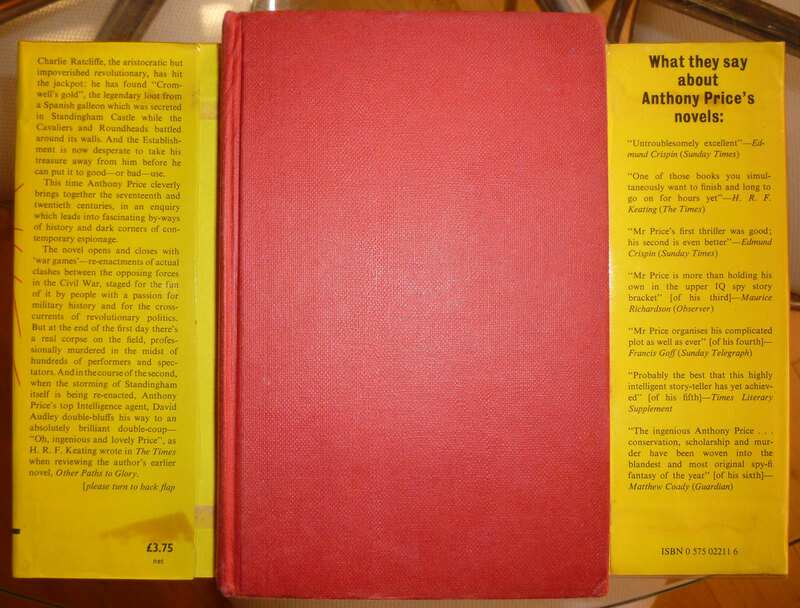 In the first instance I'll have a post on the debut novel in an espionage series which, for reasons to do with plagiarism, has been making the news of late; and then after that I'll have a run of posts on a spy fiction series starring a secret agent who is forced out of a middle-class retirement writing Western novels and back into a life of violence and treachery. 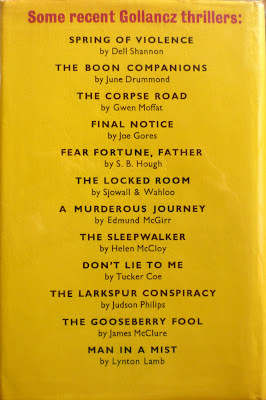 And away from the spy fiction, I'll also have that review I mentioned of Richard Stark's fourth Alan Grofield novel, Lemons Never Lie, before too long (I've been re-posting my reviews of the previous Grofield books on The Violent World of Parker ahead of the new review). 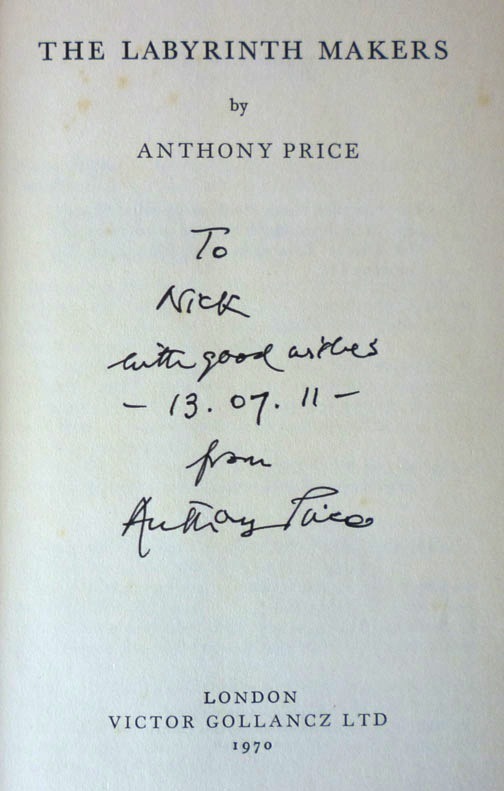 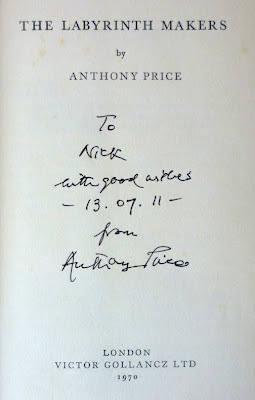 Anyway: on with the Anthony Price first edition gallery. 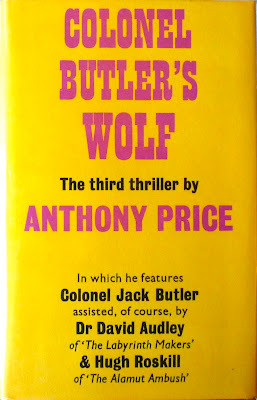 I've linked to my reviews of the first four novels – if anyone knows of useful reviews of the other three, let me know and I'll link to those, too – and included each first edition's current value (depending on condition/scarcity). 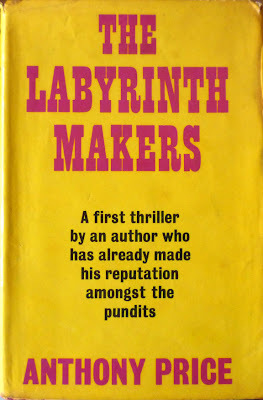 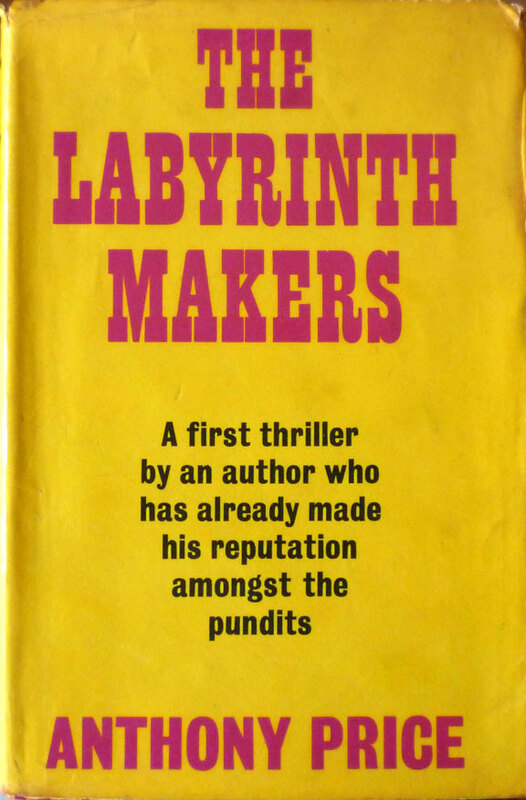 The Labyrinth Makers (David Audley #1), Victor Gollancz, 1970 (review here). 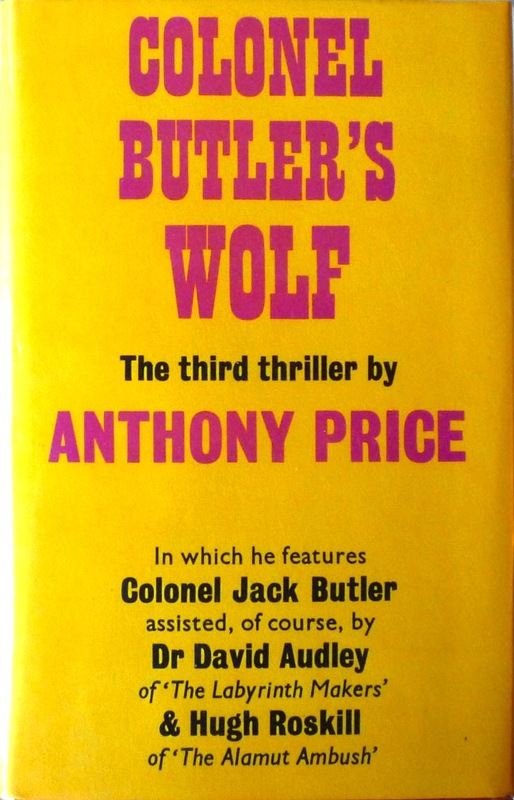 Current value in first: £150–£300. The Alamut Ambush (David Audley #2), Victor Gollancz, 1971 (review here). 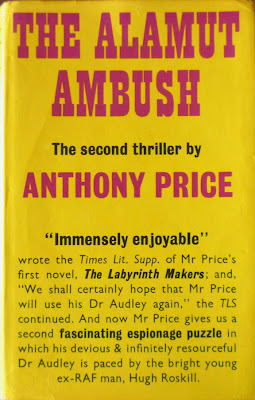 Current value in first: £75–£200. 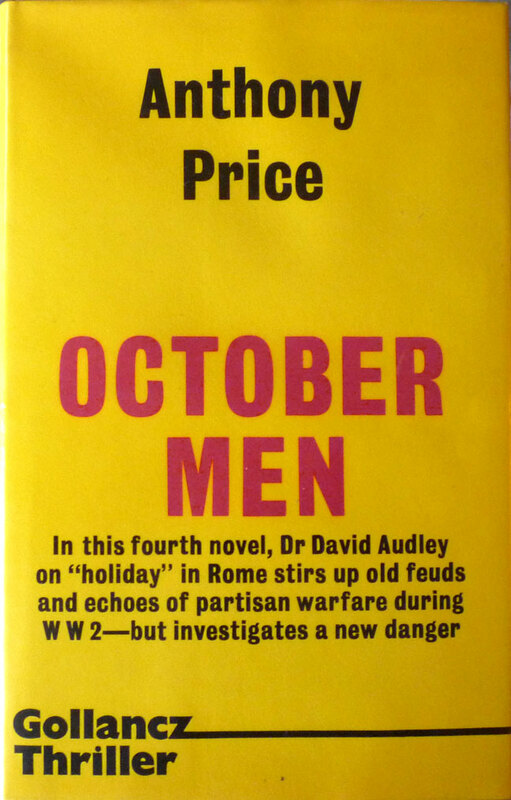 October Men (David Audley #4), Victor Gollancz, 1973 (review here). 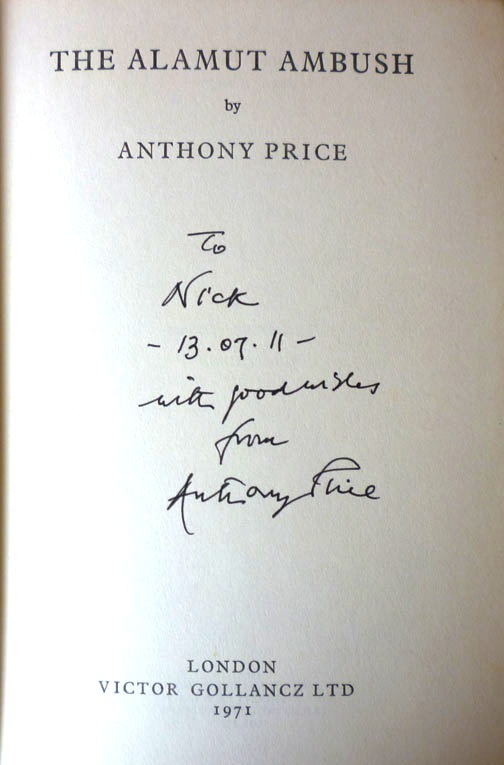 Current value in first: £60–£150. 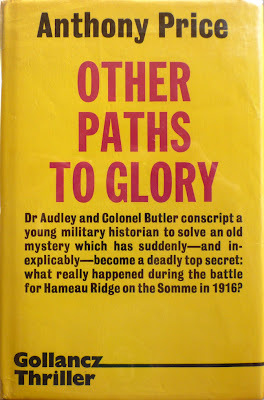 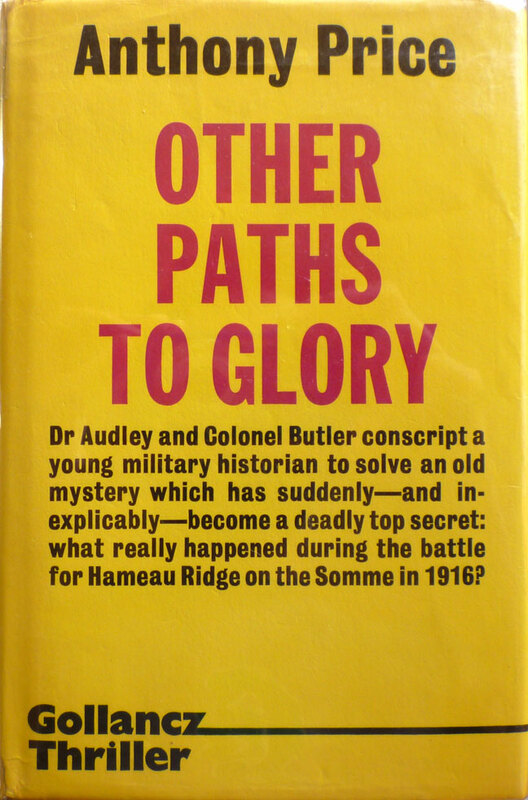 Other Paths to Glory (David Audley #5), Victor Gollancz, 1974. 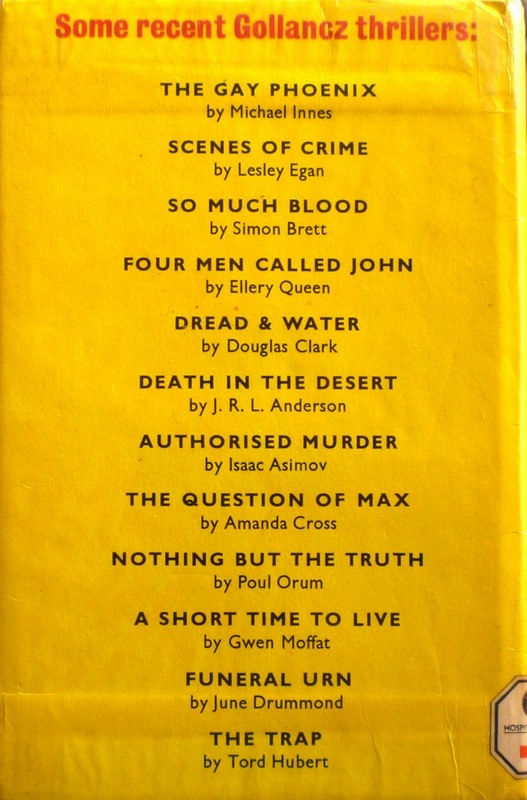 Current value in first: £40–£100. 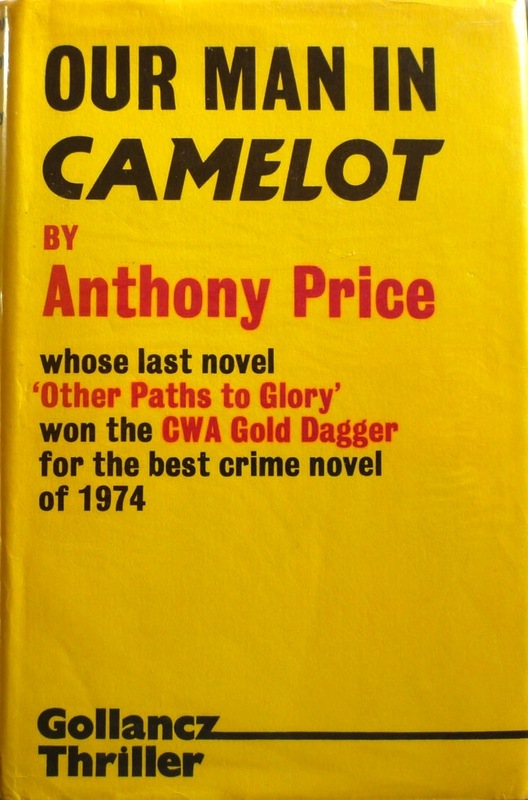 Our Man in Camelot (David Audley #6), Victor Gollancz, 1975. 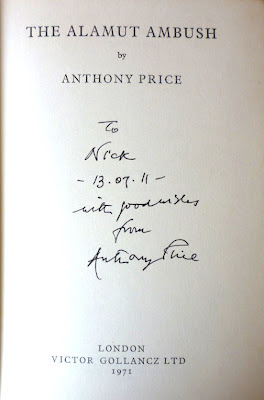 Current value in first: £30–£90. 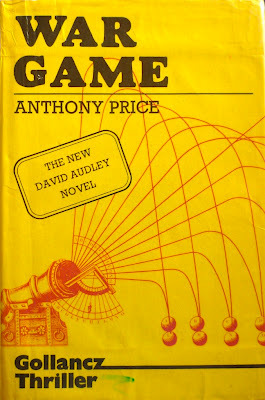 War Game (David Audley #7), Victor Gollancz, 1976. 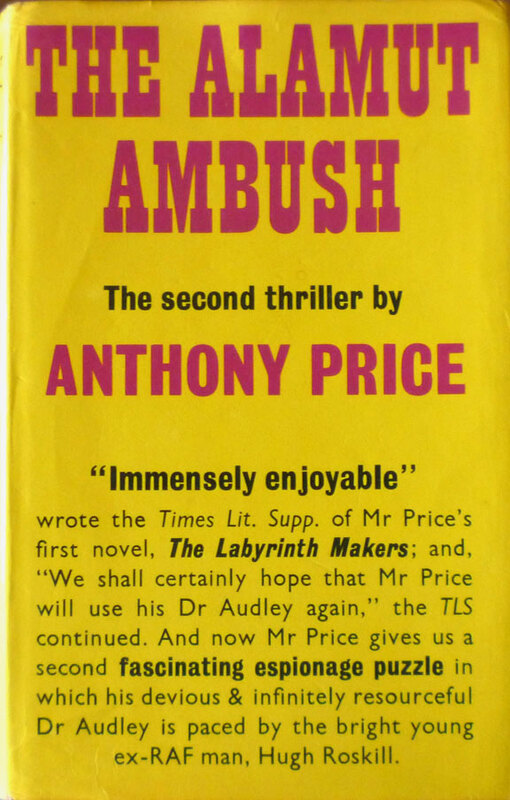 Current value in first: £60–£120.